Photo by Eze Amos. Featured at the Bridge exhibit. To celebrate, we’re sponsoring a group photography show at The Bridge called Redefining the Family Photo. 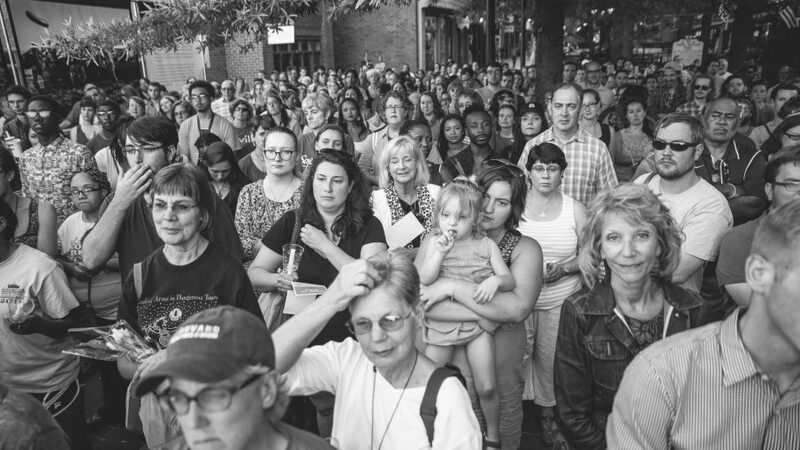 Come enjoy photos of local Charlottesville LGBTQ people and allies from the last few years. Featured photographers: Eze Amos, Guillermo Ubilla, Christian DeBaun, Sarah Cramer Shields, Jeff Cornejo, Jacob Canon, Keith Alan Sprouse. 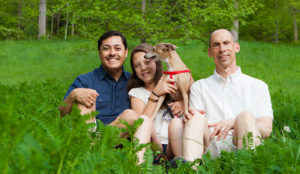 Cville Pride Family Photo photography show. Free refreshments and a first look at the show! Join us for a joyful first night to launch the month! LGBTQ youth and allies are invited to join a workshop taught by local digital artist and photographer Guillermo Ubilla. Everyone has a story worth telling. Learn the value of story and several visual storytelling techniques as you spend the workshop creating your own zine. Leave the workshop with a few blank zines and a few ideas to create and share your story. Reception and silent auction, with special guest, Marty Rouse of the Human Rights Commission. Free refreshments and discussion. Sponsored by Cville Pride.